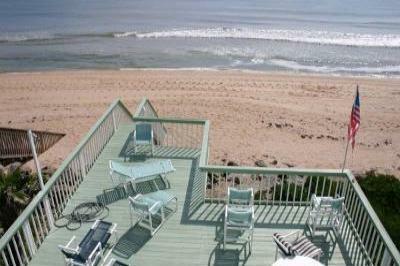 Direct oceanfront beach house!!! Island Charmer! (upstairs) in the 3rd bedroom. All linens are supplied. Escape the cold and enjoy your place in the sun! The Daytona International Speedway is about 20 mintues away. The Kennedy Space Center is about 45 mintutes away. Just minutes to the Canaveral National Seashore! Golf, Shopping, Live Theater, Cinemas, and Museums. Deposit: $500 which will be applied towards your rent upon arrival.